Do you believe that everyone can be a leader? Do you believe that leaders deliver business results? Do you believe that the people at the top are leaders? Do you believe great leaders are great coaches? I like this question because it goes to the heart of one of our great belief as a society of what leadership is. Truth is, many people do not possess the self-knowledge or the authenticity required for the work of leadership. So I do not understand why we believe that we are all leaders. Marty Linsky has said that saying “everyone is a leader” is the perfect equivalent to saying “no one is a leader”! Many people are just not interested in doing the “internal” and “external” work required for leadership. They might have the inclination or the natural disposition but not the skills. Everyone can be a leader if they do the work required to understand themselves deeply and to learn how to mobilize people in service of an important purpose they deeply care about. But If they do not care enough about any purpose, why should they be leaders? The idea that winning and bringing results is the mark of great leadership is very prevalent these days. After all, coaches of soccer teams are fired when their team is not performing well. But if results were always a matter of good leadership, why would we be talking about leadership and not … results? Clearly, things are not that simple. Heifetz in a lecture on youtube give us the example of Hoover: a great leader that brough amazing results in the relief effort to Europe during the First World War and terrible results during the stock market collapse. He provided great leadership in one context and terrible one in other. So the debate on results is really a debate on context: leadership in what context? Facing what kind of situations? Additionally most people – not just Hoover – only succeed sometimes, but not all the times. Are they leaders? Think about Steve Jobs right after he was fired. And some well-led businesses do not necessarily produce great results, particularly in the short term. So the time-perspective we hold in answering the question is also of critical importance. This in one is the greatest misconception, equating authority and leadership. I find it prevalent in many organizations and very rooted in day-to-day language. I observe that often the opposite is true, and many people that make it to the top because of their great technical skills, often realize, quoting Marshall Goldsmith that “What got them there, won’t get them here”! Some people at the top might be leader but – paradoxically – the pull of solving problems with agreed “policy and procedures” might prevent people in authority to exercise leadership…and force them to solve problems with “quick fixes”, effective but not bound to bring a new future forward. 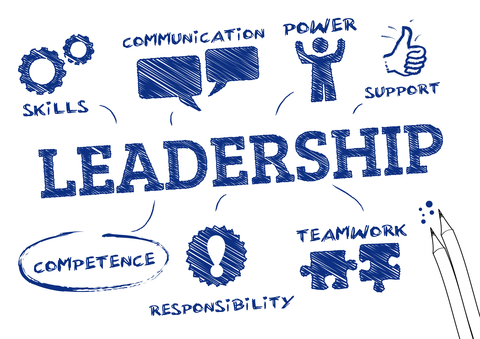 On the other hand, real leaders can be found all over the organization, from the executive suite to the shop floor. Skills in dealing with conflict, abilty to design, host and convene important conversations. As you can see some of those might be termed coaching skills…but while coaching skills might be beneficial for leaders, the real question is: what kind of skills does the specific work of leadership call for? If you use the conversations with your teams, let me know how it goes for you!